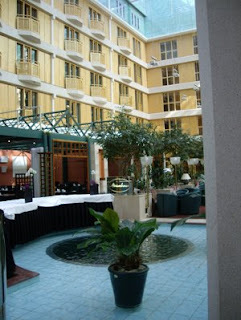 We visited Göteborg (Gothenburg) in 2009 and 2010 , and loved the Radisson SAS Scandinavia Hotel (changed to Radisson Blu in 2010). Spacious rooms, great breakfast at a nice price. 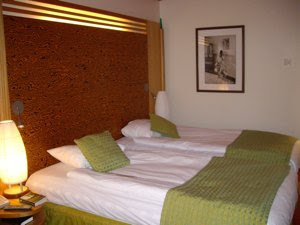 When returning in August 2012 the Radisson Blu Hotel was the natural choice. t was another great stay, and we found the hotel better in now than in 2010. See why. 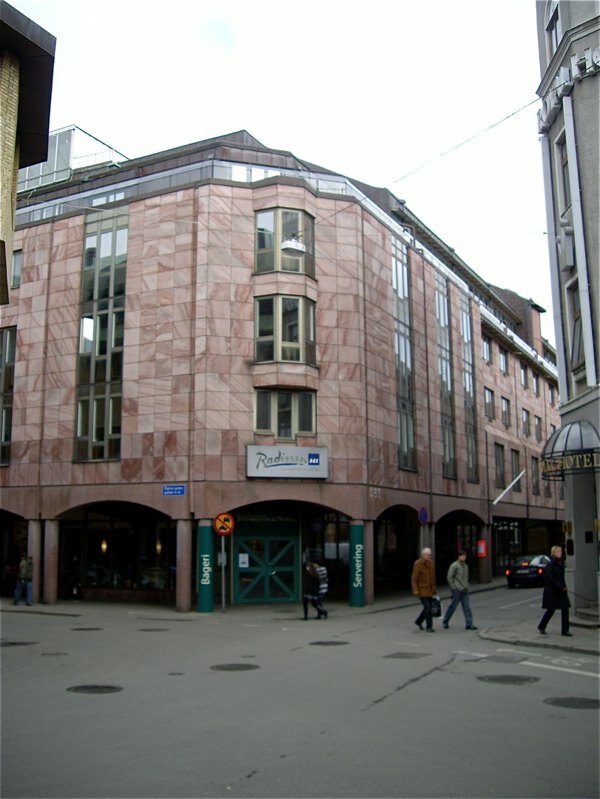 2012: The area around Radisson Blu Hotel has been upgraded considerably the last two years. The old Palace and Eggers hotels have been given a facelift and the impressive post office building has been fully renovated and turned into a high end Choice Hotel. The upgrading around the Radisson Blu Scandinavia hotel rise the score compared to the one given in 2010. Radisson Blu Scandinavia Hotel is located in the heart of the city, close to the Central station and Nordstan shopping centre. As most areas close to railway stations, it lacks charm and character, but it is excellent to stay in walking distance to restaurants, shops, and public transportation. The same experience as in 2010. A kind and professional staff met us as guests, both in reception, bar and breakfast room. As last year - we struggled to get attention from the staff in the bar to get drinks and food, but this was the exception, rather than the rule. 2012: Same great size and pleasant design. We were given room 161 facing the inner courtyard, with two single beds, and they were considerably better than back in 2010, hence the higher score. Overall the same high standard and very quiet. The hotel has one standard size for double room. 32 square meters or around 320 square feet is a generously sized room. The bathroom was equally generous in size, with enough space to fulfill the needs of two. Even though I had booked a single room, I was given a double room with all the comfort. The room had two beds, a medium sized desk, and one comfortable chair in striking red leather, and the bathroom had a bathtub - great! The rooms at Radisson Blu Scandinavia Hotel are decorated in three different styles, urban, chili or ocean. I got a chili inspired room with shades of red and brown. The beds were not as comfortable as last year, too hard for my taste. Both hotel room and bathroom were well maintained. No cracked tiles, but a few spots on the wall, and dust on picture frames and other surfaces, and the inside of the window frame. There was dust along the edge of the wall-to-wall as well. Window had not been cleaned for a while. Some other features of my room were: TV, minibar, free safe, hot water kettle with coffee and tea, free wireless connection in excellent order, iron board and iron, hair drier, and room service. Breakfast much the same as last year. Breakfast was included in the price, and we could indulge in any kind of breakfast foods we desired. There were bacon, sausages, scrambled eggs, baked beans, fried potatoes and fried tomatoes. The scrambled eggs was a little under cooked and watery both days. There were different kind of rolls and breads, and they even provided a gluten free alternative. They had even extended their gluten-free products to e.g. gluten free muesli as well. I also enjoyed herring, patés, cheese, and eggs. For the health freaks there were muesli's, fruits and yogurt. There were freshly brewed coffee on each table and you could choose from grapefruit, orange and apple juice. Juice made from concentrate and a little thin and watery. 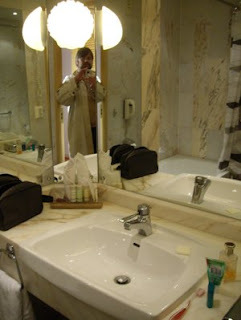 2012: Still a very comfortable hotel with business class facilities. Bar /restaurant in the large indoor atrium. For those in business class rooms or junior suites the access was free. The swimming pool and jacuzzi was well maintained and cleaned. There were some wear and tear in the changing area and in the bar. Sauna and fitness room (100 SEK fee for discount guests). 2012: In 2010 we saw minor wear and tear on furniture in bar / restaurant. These have now been upgraded and new designer furniture hva been added. 2012: I paid 1266 SEK (1175 NOK / €153) for a spacious double room for two. A reasonable price considering what this hotel has to offer its guest. 2012: Upgrading of the nearby area, and much better beds are the main reasons why the rating is better in 2012. Internett slow, but that is the only thing to put your finger on. This offers good value for money, especially if you share one of the generous sized rooms. Still a great hotel in downtown Göteborg. Service in the bar has room for improvement, and I found the beds too hard for my taste. Dust in the room, minor needs maintenance and uncleaned windows led to a lower rating as well. 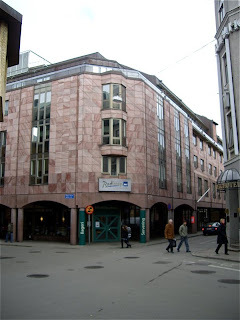 In spite of this, you get much for your money, and Enjoy Food & Travel recommends Radisson Blu Scandinavia Hotel for those of you traveling to Göteborg, Sweden.